Join us in Sydney to Run in the Dark on the 14th November 2018 and support our ongoing research to find a cure for paralysis in our lifetime. Your $38 donation will play a big part in helping the Mark Pollock Trust to reach its $600,000 fundraising aim. Every donation, every step, every study, moves us towards a cure for paralysis and enabling people to walk again. After the race has finished all runners are invited to PJ O’Briens for post-run sociables to refuel and raise a toast to Mark. This year’s pop-up run will be championed by Katie McBurney, from Ireland, who lives in Sydney. For any queries relating to this event please feel free to contact Katie McBurney via email (katdunbar@hotmail.com). 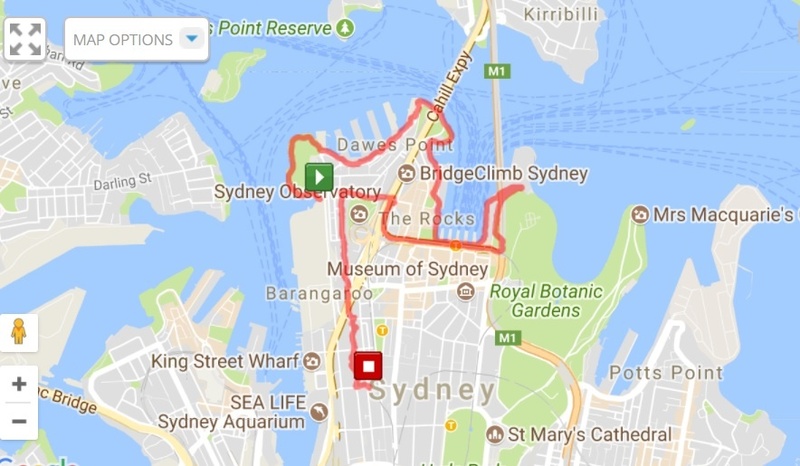 This run starts at 25 Hickson Road, Millers Point, at Gate 7, Nawi Cove entrance into the Barangaroo Reserve. The run will finish at PJ O’Briens, 57 King Street, Sydney. Please aim to arrive at 19.30 (7.30pm) so that we can ensure everyone will receive their flashing armband and buff and have a group photo before we go running!